Although the Football Association was formed in October 1863, it was almost twenty years before Association Football reached East Sussex, certainly in any organised form. 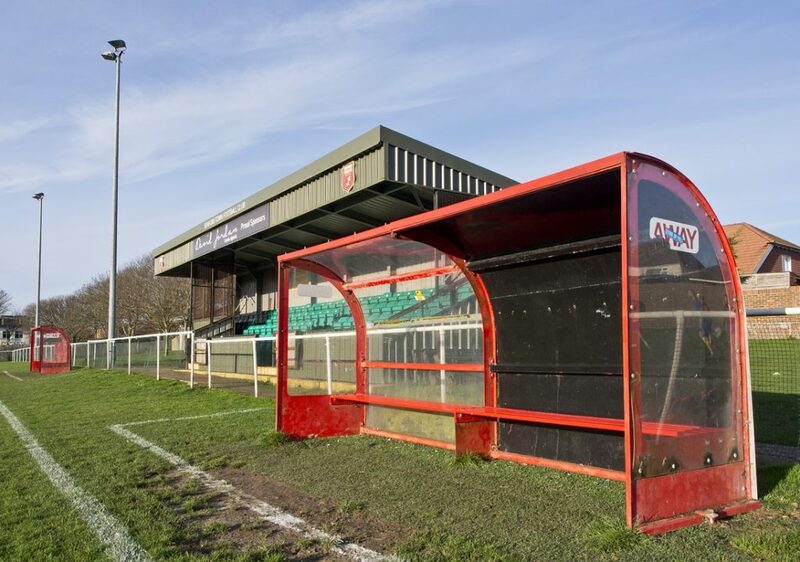 Horsham FC can claim tenuous links dating back to 1871, but it wasn’t until 1881 that the county’s first ‘proper’ club, Devonshire Park (now Eastbourne Town) was formed, along with Horsham who finally got their act together in the same year. A further twenty years would pass before Brighton & Hove Albion arrived on the scene. Whether the formation of Devonshire Park the previous year was a catalyst one cannot be sure, but in 1882 a football team was formed less than ten miles along the coast in Seaford, by three workers at the Elm Brewery in the town. Within the space of four years the team had expanded into an organised club – Seaford Rovers – reputedly one of the best in Sussex at the time. On 8 October 1886 the Rovers beat Lewes 5-0 and four days later also saw off Devonshire Park 4-2. The club’s first recorded cup tie came the following month when they beat Hurst College in the Sussex Football Association Cup, and in fact went on to beat Burgess Hill in the Final before returning home victorious to The Bay Hotel. Seaford Football Club was officially founded in 1888, although this may have been a continuation of the Rovers. The latter certainly continued to exist until the outbreak of war in 1914, with the two names perhaps being used synonymously. A photograph exists of Seaford footballers on ‘The Cricketfield’ (aka the ‘Beamlands’), an old river bed close to the sea. However, from the early 1900s at least, the club played at The Crouch, not far from the brewery. 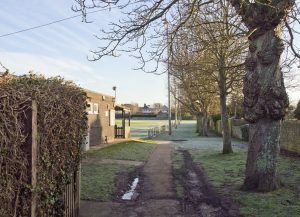 The owner John Plaister, a cement manufacturer, lived at Crouch House on the corner of Bramber Lane and East Street, and made the field available for the use of local footballers. The ground’s name is derived from the old English word meaning ‘Cross’ (as in a wooden signpost or similar). It is possible therefore that previously one stood on the hilltop where Crooked Lane, Crouch Lane and East Street now converge, although equally it is a crossroads. By the end of the eighteenth century, the land was certainly referred to as ‘The Crouch’. Following his death, Plaister’s property which included four acres of land, was sold by auction to the Seaford Urban District Council, who also moved its offices into Crouch House until 1966 when it was demolished. 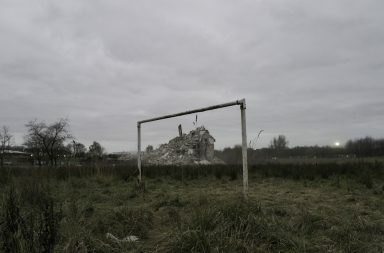 The Estate did not specify that the land had to be retained for sporting use, but in 1986 an order was made by Lewes District Council that appropriated the main part of the land for the use of footballers, albeit for no particular club. The ground is blessed with a fine view towards Seaford Head and over the years facilities have gradually been upgraded and improved by club officials and other volunteers. The first stand was in place by the mid-1930s and constructed from wood with tiers of heavy planks for seating. Post-war ‘refurbishments’ saw it enclosed in corrugated iron and painted green. It survived until the late 1970s, eventually succumbing to salt spray, south-westerly gales and vandals; and was described by Groundtastic magazine as “essentially a large shed fitted out with bench seats”. It was replaced a ‘brutalist’ breeze block construction with a low timber roof and matching dugouts in front, that was plagued by vandalism and covered in graffiti. 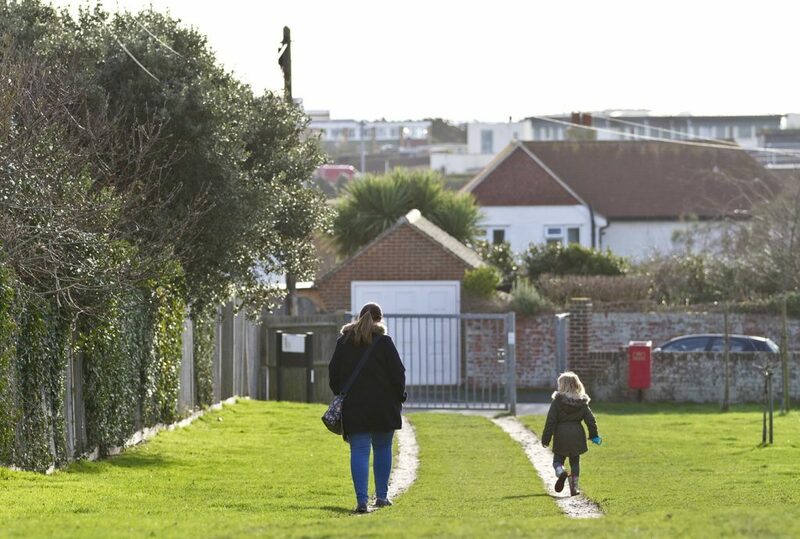 Indeed as long as you didn’t mind the smell of stale urine, you could pass the time reading the graffiti or gaze out towards Seaford Head if the action on the pitch was particularly uninspiring. Floodlights eventually arrived in time for the 2007-08 season, and were switched on for the first time for a League fixture vs. Lancing which Seaford won 3-2. Another significant move forward came in October 2010 when a new seated stand was opened with a visit by a Charlton Athletic XI. Because the manager at the time, Bob Laundon, didn’t particularly enjoy being subjected to abuse from spectators in the stand, smart new portable dugouts were wheeled into position along the opposite touchline. However, they are now a permanent fixture in front of the stand. Between the wars Seaford Town FC played in the Mid-Sussex League, and joined Division Two of what was then the Sussex County League in 1954. Between 1964 and 1971 the club spent seven seasons in the top division, finishing fifth in 1967-68 (it’s highest ever position in the non-League pyramid). At the end of the 1977-78 season however, the club dropped out of the County League altogether, before returning as founder members of the newly constituted Division Three six years later. In 1985-86 they finished top and returned to Division Two, taking the title in 1989. However, their return to the top flight was to last just two seasons before they were relegated once more. History repeated itself, and in 1992-93 Seaford found themselves back in intermediate football again, this time in Division Three. Things then got even worse, and they dropped out of the County League for a second time after being relegated in 1997. Two seasons were spent in the East Sussex League before the renamed Seaford FC regained their place in Division Three, having dropped the ‘Town’ suffix in 1999 following a merger with Seaford Seagulls Youth FC. Promotion back to Division Two was achieved in 2000-01 and in 2005 the name reverted back to Seaford Town, as did the colours from red and blue, to all red. When I last visited The Crouch in August 2010 for an early season fixture against Eastbourne United, things appeared to be on an upward trajectory. Seaford ran out comfortable winners under manager Tony Coade, and went on to finish a highly promising fifth. The future looked promising. By early 2015 and six managers later however, the club had reached national headlines as a figure of fun when Robbie Savage compared it to Aston Villa on Radio 5 Live. Seaford had appointed Paul Harrison, who had enjoyed considerable success with Newhaven, as manager in January 2014. He had got off to a good start but after thirty-five matches and a run of twelve consecutive defeats he was shown the door. At time of Savage’s broadcast Seaford, under Harrison’s replacement Ben Barnett, had still not picked up a single point, and had scored only scored ten goals … one less than Villa had managed. Of course no publicity is bad publicity, and in response Chairman Bob Thomsett, with his tongue firmly in his cheek, invited Villa down for a match to decide which was the most boring team, in a “loser takes all” contest. “Paul Lambert has looked a bit down in the dumps lately so I’d like to cheer him up” he quipped. “I’m sure his players would enjoy themselves down here. Our pitch does have a few holes in it and there can be the odd stray dog turd. 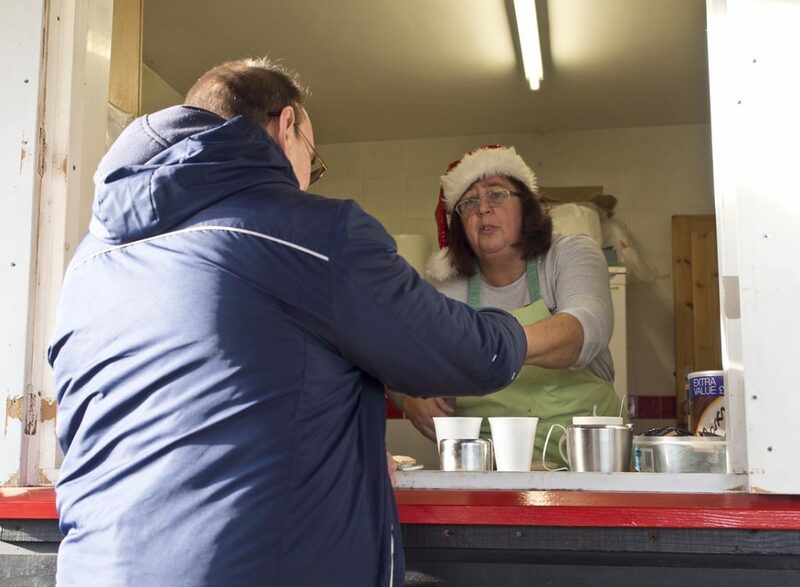 But my wife Chrissie does the best teas in the division”. He also attempted to arrange a friendly against Stewart and Lloyds Corby of the United Counties League who had a similarly poor record, saying “It’d be great to meet them halfway to see who is the worst team in the country”. By the end of the season Seaford had added six more goals to their tally, having conceded eighty-two. Remarkably perhaps the club’s solitary point that season came against Wick, who at the time required a win to secure promotion. A win against a club without a point all season must have appeared a formality, but as we know all too well, football is a “funny old game”. It had taken Seaford more than 2,340 minutes of football to finally draw a match … and Wick were eventually promoted. Thomsett, a local publican, first played for Seaford in 1989, following in the footsteps of both his father and grandfather. When he finished playing, he joined the Committee and ran the bar for a while before taking over as Chairman around five years ago. Since then he has seen eight managers come and go for one reason or another, including Alan Skipper who only stayed for six days. “Quite frankly it was an embarrassment, football-wise, but looking back there wasn’t anyone who thought that appointing Paul Harrison was a bad choice”. “The first half of the first season, he had to do what he could do with the players he had, but as it turned out he couldn’t attract any players. It was just awful. Basically the club was put back years”. “It wasn’t great but then obviously last season was better. We didn’t finish bottom, but second from bottom was a massive improvement with nineteen points. This year it’s going in the right direction at long last”. 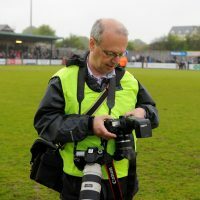 John Foley, who replaced Barnett, had steered the club to that historic first point but had been offered a paid coaching position at Whitehawk that was too good to turn down, and Scott Osborne became the ninth Seaford manager since 2010. He has only been in post for a few months, but gradually things are looking up. Seaford may be in the bottom half of the table, but already they have equalled their points total for the previous two seasons combined. “Scott has come on board, it was probably the fourth time he had applied for the position, and he has been absolutely fantastic” says Bob. “We’re competing, and we weren’t doing that”. “I’m probably more positive now that I have ever been about moving forwards. I’m looking forward to the beginning of next season, because that will be a full close season and pre-season with Scott in charge, and he’s been doing everything the right way. I’m not saying that I agree with all of his decisions, but that’s football. There are improvements that we can make [but] throwing loads and loads of money at it is only a short-term fix. It doesn’t work. Unless you’ve got loads of money, it doesn’t work. If you look at Seaford, the town is big enough to support an Isthmian [Ryman] League club. It’s bigger than Lewes. But it’s got to be right, and it’s got to be affordable. When it is, then it will happen. I believe we should be at the top end of the Premier Division, and hopefully in Scott we’ve got a manager who can get us there”. 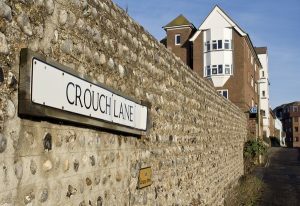 To a large degree, previous investment in the facilities at The Crouch has been Seaford’s saviour, as despite finishing in a relegation position for each of the past three seasons, no club has been in a position to replace them in what is now Division One of the Southern Combination League. Bob is justifiably proud of the ground, which has been transformed from what was – and still is outside of match days – a recreation ground. Dug up and used to grow vegetables in the First World War, the Luftwaffe dropped four bombs on it during the Second. “It’s a proper football ground now”. He beams. “We had to apply for permission to have the gates locked, and we’ve now got that because it’s league rules as well. At the bottom end though, you’ve just got a little wall that people can jump over anyway, but it’s a work in progress. We’re not going to stand still – we are looking to improve all the time, because of the facilities are right then the players will come. The higher you go, you are probably going to have to stick your hand in your pocket and pay players some enhanced expenses. If the facilities aren’t right they are going to come, take the money, and go. 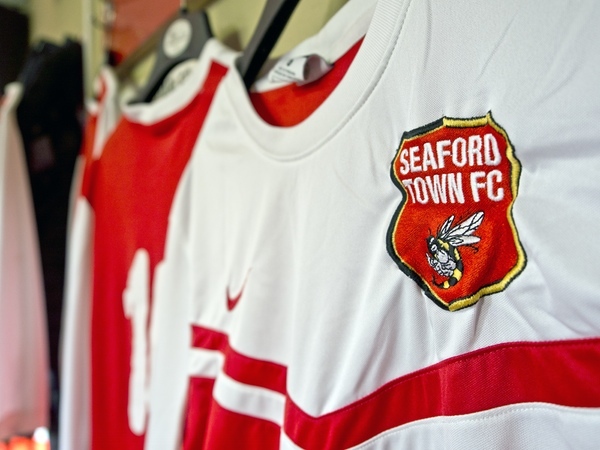 We want people to come and stay, and want to play for Seaford Town. Especially for the youngsters we’ve got coming in now – they need something to aspire to. It’s the whole package that we are striving for”. As Seaford’s most awful, yet most memorable season drew to a close, there was some positive news with a merger with Seaford WASPS Junior FC, designed to create a stronger footballing identity for the town’s youth. The new club crest now features an angry looking wasp against a red background; and an amber and black border has also been added. The traditional red colours however, have been retained. 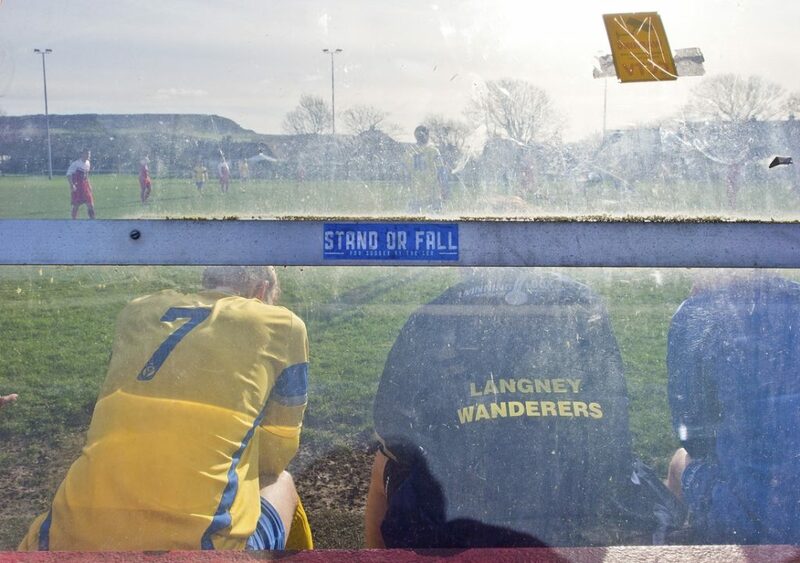 Today’s opponents Langney Wanderers have only been around since 2010 but have done remarkably well in a very short period of time, winning the East Sussex League 2012-13, and Division Three of the former Sussex County League the following year. Unfortunately they were unable to be promoted due a lack of floodlights at their Shinewater Lane ground, previously vacated by Shinewater Association when they merged with Eastbourne United in 2003. In 2014-15 however, Wanderers finished third and were granted promotion, making them Eastbourne’s fourth senior club. They are currently playing at United’s ground, The Oval, just off the seafront in order to meet grading requirements. 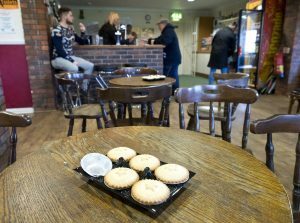 Despite the bright sunshine and a crisp Boxing Day morning, barely thirty paying spectators have been attracted along to The Crouch, and the mince pies generally placed on the tables in the small but welcoming clubhouse, mostly go uneaten. 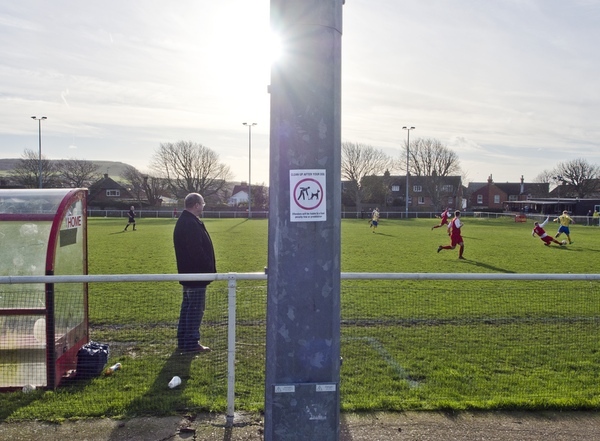 Seaford may be a bigger town than Lewes, but its football club has never been particularly well-supported. Neutral football enthusiasts tend to ‘club hop’ and it doesn’t help that there are more tasty morsels on offer nearby this morning, with a couple of local derbies being played. Just along the A259 to the east, Eastbourne United are taking on Eastbourne Town, in front of a crowd of 463. In the other direction, a similar figure has been attracted to Peacehaven & Telscombe vs. Newhaven. It’s not a bad match however. Langney arguably have more of the game but it is Seaford who take the lead through George Rudwick on the half hour mark, after he is allowed too much time and space in the penalty area. The visitors draw level from the penalty spot ten minutes after the restart. Nathan Crabb, who in 2008 was scoring one of the goals in the play-off final that saw Eastbourne Borough promoted to the top flight of non-League football six steps higher, confidently beats sixteen year old Jack Webb, making his debut beaten the posts for Seaford. It’s a kick in the teeth for Seaford, but as Bob Thomsett remarks afterwards, he’d rather get all the bad luck out of the way this season. Later, as 2017 gets underway, Seaford twice come back from behind against Little Common, but again concede a late goal. A defeat, but another promising display against the League leaders, with much to be optimistic about. Perhaps, at last, the East Sussex tide is beginning to turn back towards The Crouch.